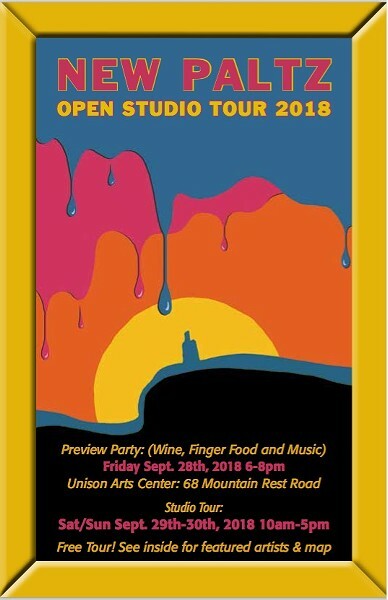 An opportunity to visit 26 artists' studios and 5 galleries in New Paltz, Rosedale and Highland. Talk to artists about their process, their work and experience. Works for sale. Find tour guide booklets everywhere in New Paltz, Rosedale and Highland stores.